Port of Cleveland – Cleveland, Ohio | World Shipping, Inc. The Cleveland-Cuyahoga County Port Authority is the only local government agency whose sole mission is to spur job creation and economic vitality in Cuyahoga County. The Port of Cleveland is an economic engine for our community, a key to Northeast Ohio’s global competitiveness, and a crucial partner in building Cuyahoga County’s future. The Port of Cleveland spurs job creation and helps our region compete globally by connecting local businesses to world markets through the most cost-effective, method of freight transportation in the region. The Port of Cleveland also plays a crucial role in stimulating economic development by connecting private investors with landmark projects throughout our region. 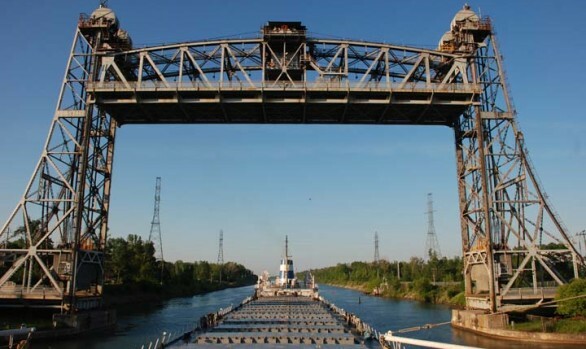 And, as an outgrowth of its maritime activities, the Port is also an environmental steward of Cleveland Harbor and the Cuyahoga River, two of our area’s greatest natural assets.